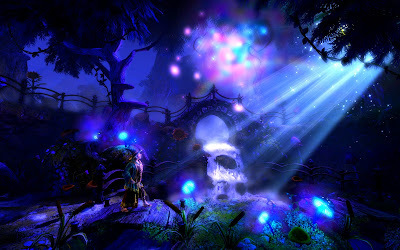 The original Trine, released in 2009, was a 2.5D, side-scrolling, adventure and puzzle game. Telling the tale of three unlikely heroes, Zoya the thief, Pontius the knight and Amadeus the wizard, it was an awesome game, which was well received by gamers and critics alike. There are puzzles, platforming, combat and magic, so there's something for pretty much everyone, and the gorgeous visuals gave it an edge over some other similar indie games. 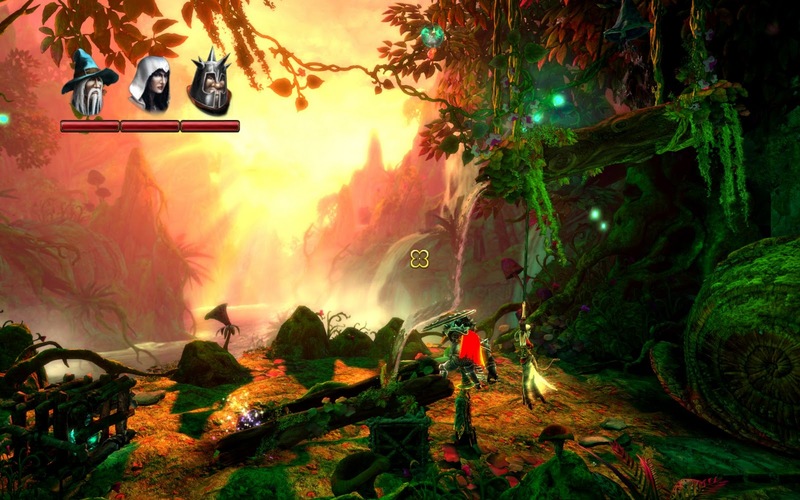 So the announcement of Trine 2 was excellent news, and the recent launch of the Beta was the icing on the cake. I played through the beta, which contains three short, introductory levels, and the following full level. Starting with a short, solo level for each character, you must play as each of the three characters, which tells us what the characters are doing after the events of the first game, and also acts as a tutorial for each of their abilities. Amadeus is living a quiet, wizard's life in a cottage. Surrounded by potions, trinkets and glorious artefacts, he seems at peace, until he is rudely interrupted by a magical visitor, the Trine. Pontius is on another adventure, living up to the title of a knight by cleansing the land of evil. It seems like he is about to meet his end when the Trine shows up, and saves him. Zoya, the thief, is doing what she does best. Silently making her way across rooftops, seemingly about to break into a wealthy looking castle, when the Trine shows up again, and takes her away with the others. The first thing you'll notice is the graphics. 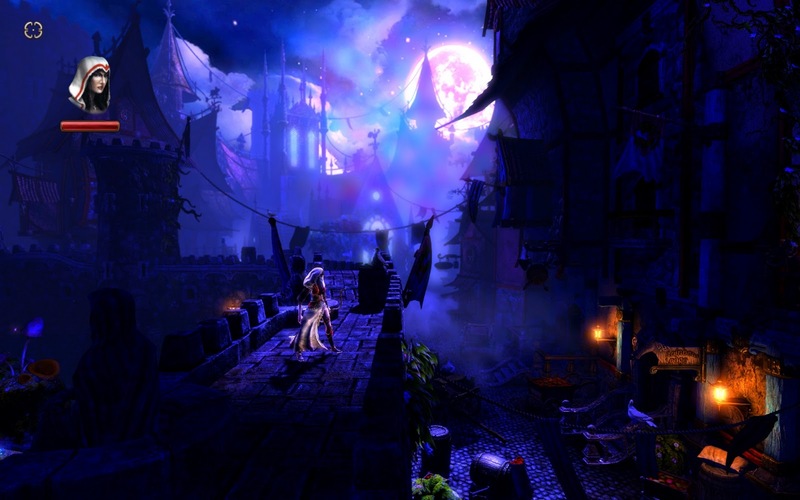 If you thought the graphics were impressive in the original, Trine 2 will blow you away. They look amazing, with an incredible level of detail, and some fantastic effects, which are easily on par with some of the AAA, high budget titles. The lighting and shadows, which feature quite heavily in Amadeus's opening level, are mesmerising. The light creeps in realistically through the windows, and through treetops, casting shadows of every single object, no matter how big or small. The first time the light flooded the room, and the shadows danced around, it was literally the most impressive thing I've seen in a game, for a long time. As well as top quality shadows and lighting, the water is also pretty damn good. The fluidity, movement and reflections are all perfect, but it's not just eye candy; water is also used quite cleverly in a number of puzzles. One of these puzzles sees a seed, waiting to be watered. To the right, there is some water, cascading through a log. You must direct the water to the seed, using whichever abilities you can, to make the plant grow. There are multiple solutions to pretty much all of the puzzles, which is great if you prefer one character over the others. Once you get the water to the seed, huge mushrooms grow, allowing you to climb them and progress through the level. The gameplay in general is very similar to the original Trine. The characters have the same starting abilities, with the option to upgrade and improve. A welcome change is the removal of mana. As you needed mana to solve some of the puzzles, it could be annoying if you were out and couldn't find any, so the lack of it is a good thing. In the beta levels, there are enough situations to fully showcase all of the abilities and gives a great glimpse at what the full game will contain. Another great new addition is the online multiplayer. There are two online modes, which each allow three players to work together through the story levels. The first mode is Classic. Each of the three players controls one of the characters, so the full line-up of characters is used. You cannot switch, unless there are only two players, but you will never see the same character on screen more than once. This mode is definitely the best for a serious, story playthrough, and really shows how well the characters' abilities compliment each other. The second mode, Unlimited, is more suited for having a bit of fun. This mode allows each player to switch between all three characters, regardless of who is already being used. So you can have three Zoya's on screen if you want to. This mode is incredibly hectic, generally a lot faster, and so much fun. Fans of the original should start to get excited. Trine 2 takes everything from the original and makes it bigger and better. It really is a wonderful game with creative puzzles, great platforming, and fun combat. The addition of online multiplayer modes just makes it even better. 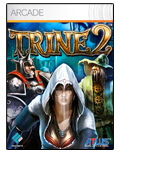 Trine 2 is another game that proves that indie games are often better than AAA titles, and could be Frozenbyte's best title yet. 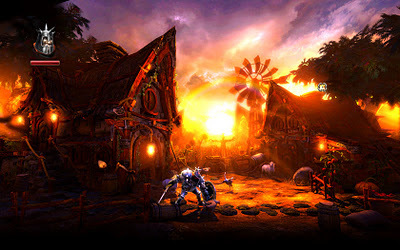 Trine 2 is due for release in December, and will be available for download on PC, PSN and XBLA. I haven't played the original game, but this game sounds really good. Thanks for the review!